You know you're made for a more fulfilling life. With this book, you’ll know where to start. Crystal Paine is a wife and homeschooling mom to three young children who has been writing on topics related to frugality for the last five years—and living a frugal, simple, and debt-free life since she was born. Her blog, MoneySavingMom.com, is one of the top personal finance blogs on the web averaging over four million pageviews per month. 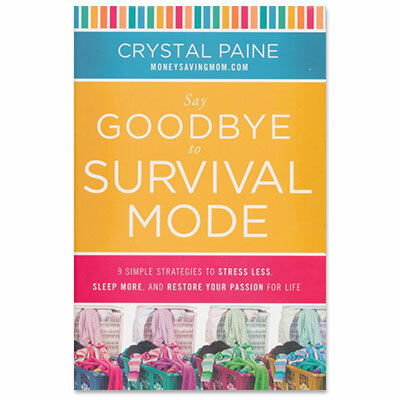 Crystal has contributed to articles in Woman's Day magazine and All You magazine, as well as being mentioned on National Public Radio and CNN.com, in USA Weekend, and Real Simple magazine and numerous other local newspapers and radio and television stations.